Almost a month since we saw the launch of the OnePlus 6T happen here in India and they are here with yet another addition to their flagship devices. Now, OnePlus already has a reputation for doing this but this time around its a little bit too early. OnePlus has been teasing its upcoming collaboration with McLaren for quite a while now and it has officially made the launch. The OnePlus 6T McLaren is now available all over the world starting at €649. The OnePlus 6T as of now will be available in North America and Western Europe and will go on sale starting December 13, followed by China and India. As of now the pricing for the device is at €649 and the Indian pricing is not out yet, although, reports suggest it might be priced at around Rs.59,000. The event for the launch of OnePlus 6T McLaren Edition will be in Mumbai Today 12th Dec at 6:00Pm. The device sports a carbon fiber body which is a replica of the McLaren cars from back in 1981. To the rear, it features a McLaren logo and their signature color, Papaya Orange running around the edges of the phone. The device was teased to feature a better and faster-charging equipment and it does. The 6T McLaren comes with the Warp Charge 30 and also an orange color braided cord. As for the specifications, there’s nothing new in here well, except for the whopping 10GB RAM it comes with. And, the new Warp Charge 30. The company states that the Warp Charge 30 can offer around a days charge in just 30 minutes and that’s not the reason it’s called Warp Charge 30, but the fact that the charge comes from 30watts of power flow. And, OnePlus also claims that the charge won’t be slowed down even while using the phone. 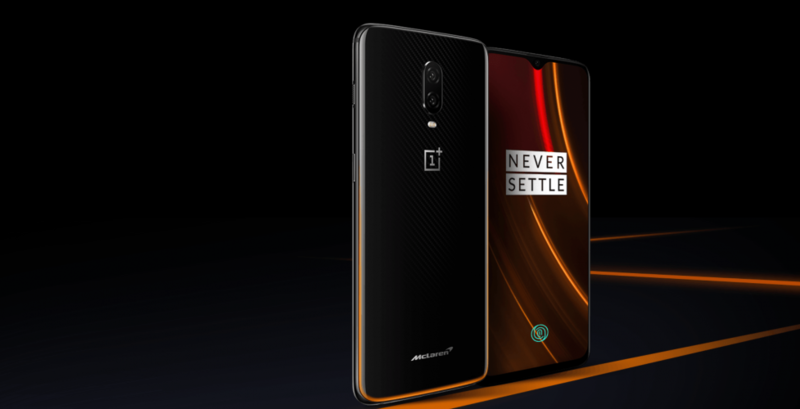 The OnePlus 6T McLaren is powered by the same Qualcomm Snapdragon 845 SoC coupled with 10GB LPDDR4X RAM and 256GB storage. It features a 6.1-inch AMOLED display with Gorilla Glass 6 and a notch upfront with not many changes. 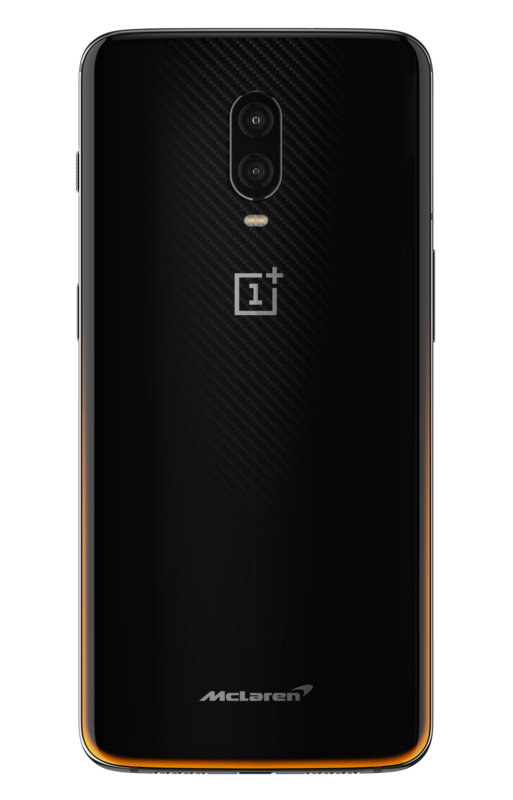 The OnePlus 6T comes in an orange box with the slogan “Salute To Speed” written in big letters, which in my opinion is very attractive. 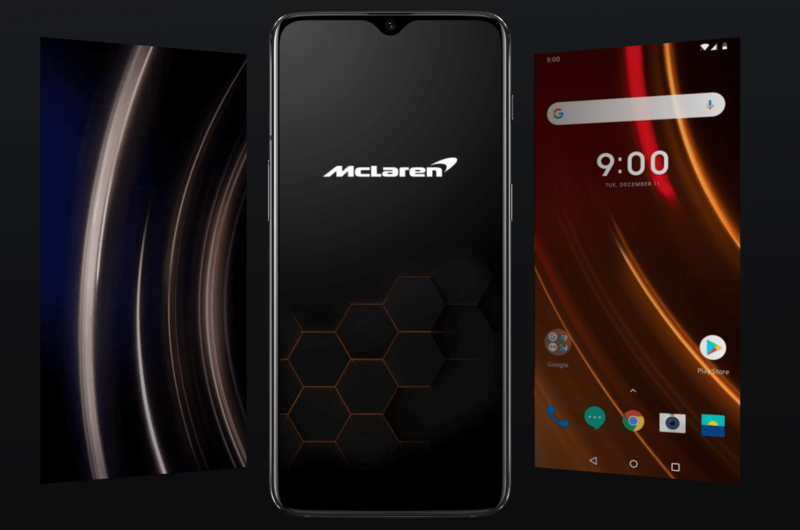 The box contains a McLaren-designed F1 AA grade carbon fiber cover and the phone comes with McLaren Edition software animations. Other than that it’s almost similar to the OnePlus 6T launched a month ago. Stay Tuned for more updates OnePlus 6T McLaren Edition and also Subscribe to Our YouTube Channel Gadget Gig For Latest News, Reviews, Unboxing and Tips/Tricks.